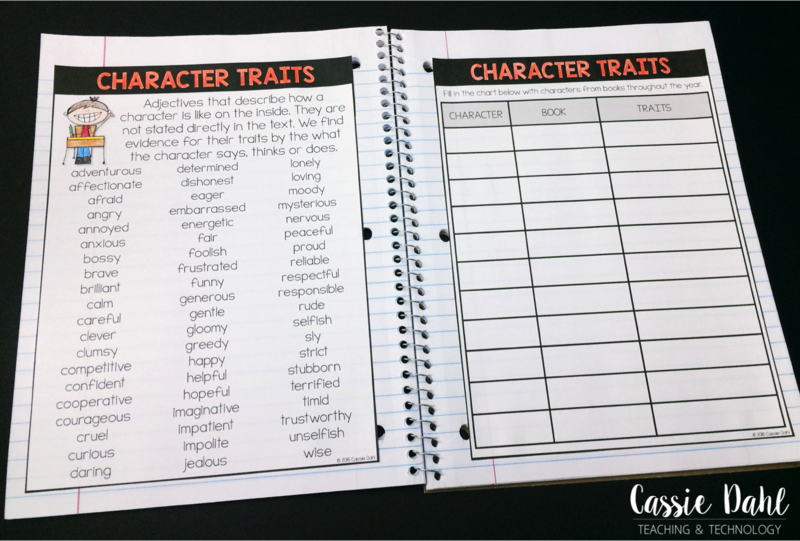 Character traits are always a fun topic to teach and students seem to catch on pretty quickly. I provide my students with multiple opportunities to practice describing characters. They even get a handout to put in their interactive notebook. 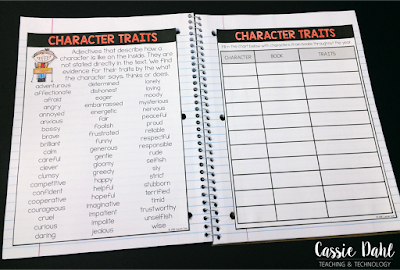 Keep on reading to see how I teach character traits in my classroom. 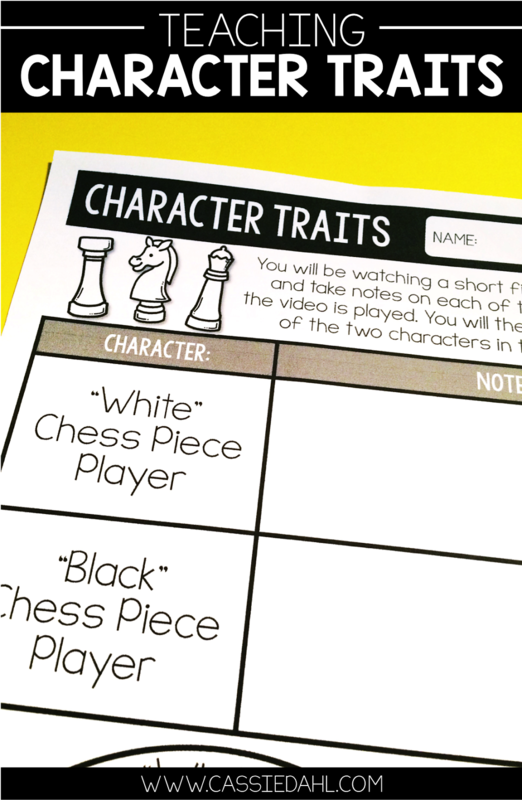 I use this short film, Geri's Game, to introduce character traits. While my students are watching it, I have them take notes on the recording page for both characters. At first this confuses some of them because it is actually the same character (Geri) who is playing both chess players. After a few turns they all seem to figure it out and they are a giggling mess. After they take notes and after the conclusion of the film, I have them fill out the Venn diagram on the bottom of the recording sheet. This lesson is quick and engaging for my kiddos. Here is the video so you can check it out. Want to try this lesson out with your students? Click here to download the recording sheet that I use with my students as a freebie. The download also includes a generic graphic organizer for you to use with any book/video. 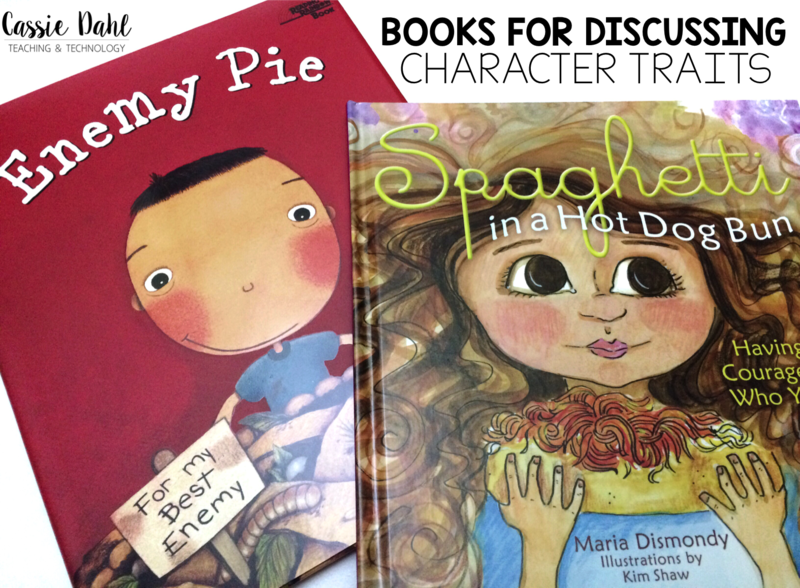 Pretty much any book with quality characters can be used to discuss character traits. There are a few that I absolutely love though! After we read the book as a group, I have my students do a Stop, Draw and Write. To do this, they choose one character from the book, draw them on a piece of paper (usually in their notebook) and then write about them. The rule is they have to include at least 5 sentences and I only give them 10 minutes to complete. They love this activity and I love seeing their work. 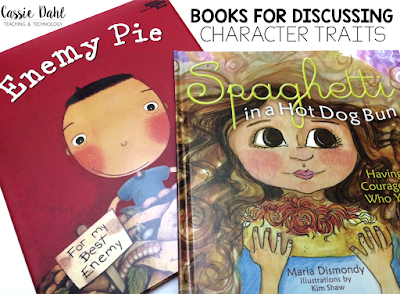 A few of my favorite books to use are Spaghetti in a Hot Dog Bun by Maria Dismondy and Enemy Pie by Derek Munson. Both books really drive home the idea of character traits because the characters are very rich. My students love working on task cards. 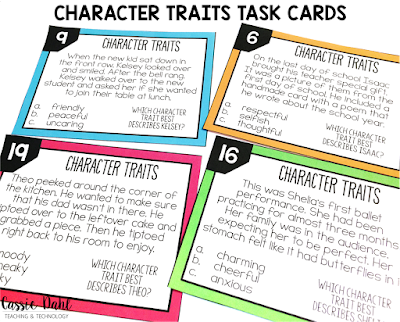 I created this set of task cards just for Character Traits. The cards include a short paragraph story and then choose which character trait best fits the specific character. 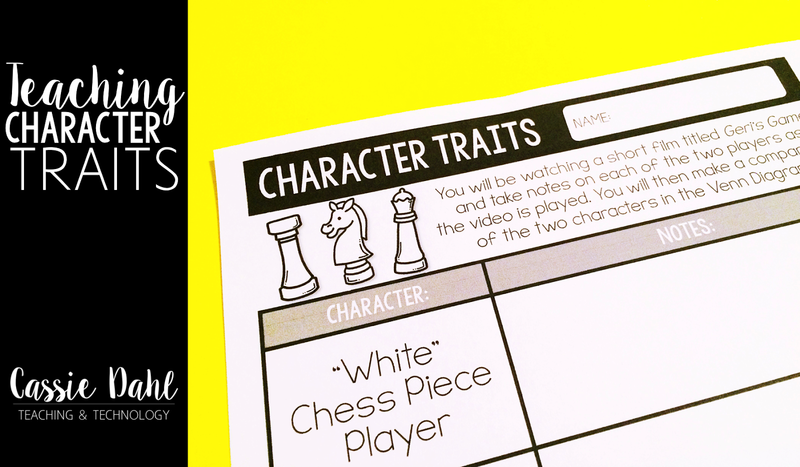 This activity just gets them familiar with more traits and practicing identifying them for specific characters. You can grab these task cards with a recording sheet and answer key from my TpT store here. We use interactive notebooks for both reading and math. 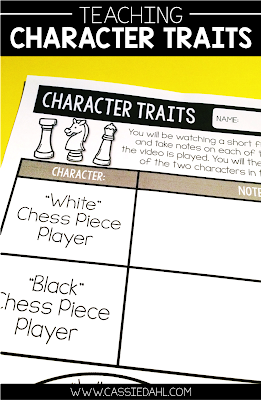 So of course, we have to add a few pages all about character traits. One of the pages gives the definition of character traits with some examples. The other page is one that we add to throughout the year as we meet interesting characters in the stories we read. You can find the interactive notebook pages in my TpT store here. The pack includes 4 different interactive notebook pages. 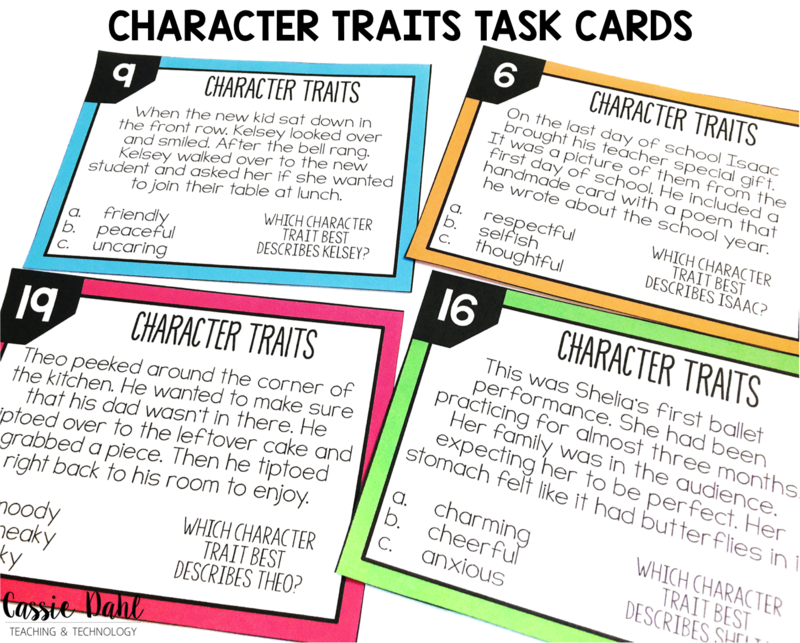 How do you teach Character Traits in your classroom?